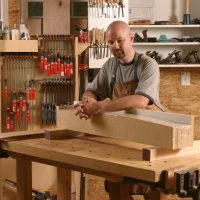 Phil was exposed to woodworking at an early age by his grandfather in east Tennessee, who had his own workshop and would let Phil tag along when he went for a visit. When Phil was old enough to use power tools, he began to try projects on his own. Some worked, some did not. But Phil always wanted to learn, by watching others, and by experimenting on his own. 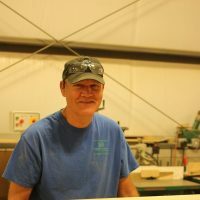 Phil's woodworking excelled, leading to a position in the custom cabinetry shop at prestigious Hatteras Yachts, and finally to a position at GPD. "I still like to challenge myself to do different things with minimal advice from others. Being at GPD gives me that opportunity but also provides expert input when I need it. I'm here to learn and contribute to the success of the team at GPD!" John started his journey into woodworking through the construction industry. 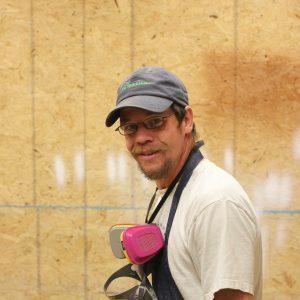 He was never afraid of tackling various construction projects, ranging from framing, to siding, to roofing, and eventually started his own construction company. 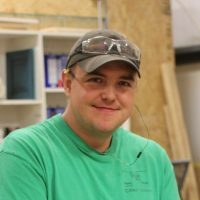 Desiring to learn and partake in the finer side of woodworking, John joined the team at GPD. He specializes in carcass construction and project installation, but is adept in all phases of crafting bench made cabinetry. John, his wife, and three children have called Asheville and Western North Carolina home for two decades.